Harmless Harvest was created with the idea that a company can be profitable, sustainable and fair to the communities that grow their product. The quality Thai coconuts used in their water are grown on small family run farms using traditional methods passed down from generations. Where your food comes from is a growing concern in today’s mass market for profit economy. Our aim was to reassure consumers that their dollars would not support a product and brand that exploited communities abroad. With this in mind we created a campaign that captures and tells the honest story of the faces behind Harmless Harvest. 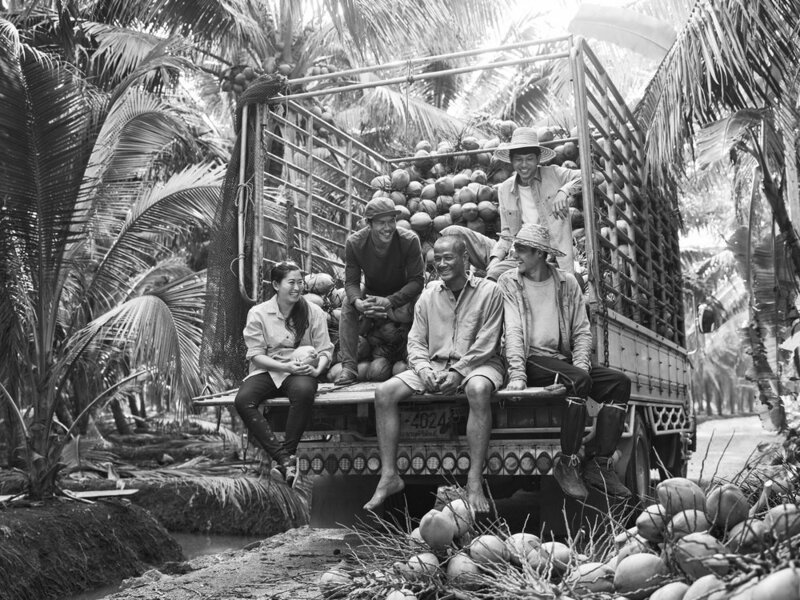 Unlike other coconut water brands that place their bottles on sunny beaches and in the hands of models we placed ours in the hands of the actual farmers and workers that supply Harmless Harvest in Thailand. We traveled to Thailand’s Ratchaburi province to photograph the family farms that supply Harmless Harvest with their coconuts. Harmless Harvest adheres to fair trade policies that ensure that everyone in the supply chain is paid a decent and fair wage. They allowed us free reign to immerse ourselves in the lifestyle and routines of their farmers and draw inspiration from the source. This honest portrayal of the process coupled with messaging that challenged the viewers idea of what a brand can stand for was a bold introduction to what Harmless is. The Photography done by the incredibly talented Joey L set out to show the famers as honestly as possible. For 4 days we shot at multiple farms as the workers went about their tasks. We captured the families who owned each farm and their employees as they harvested, but also tried to capture other details of their lives. 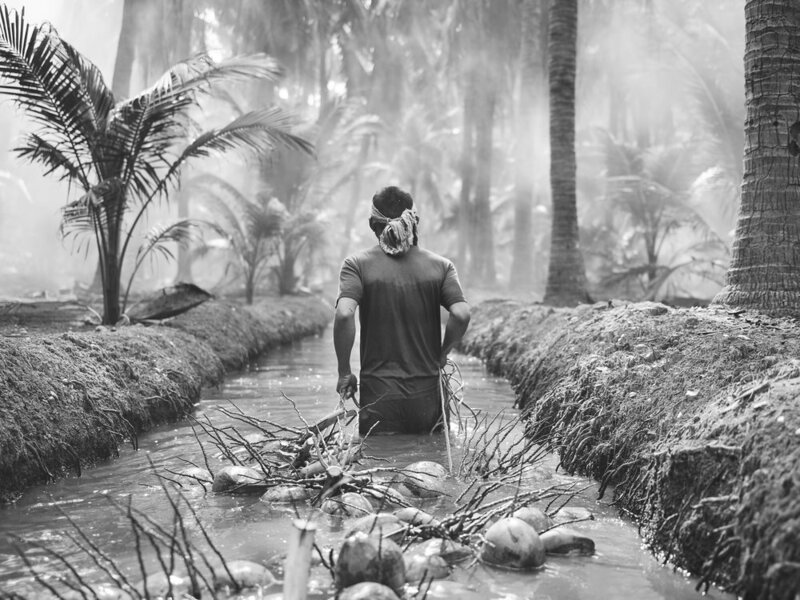 We wanted to photograph the Harmless process from start to finish – from sourcing young organic coconuts, to giving back to the local Thai communities, its ecosystem-based business model, and more. The images were treated in black and white for a timeless feel allowing the viewer to focus on the subjects expressions and details. Joey ended up capturing a large body of images well beyond what was needed for the initial campaign.